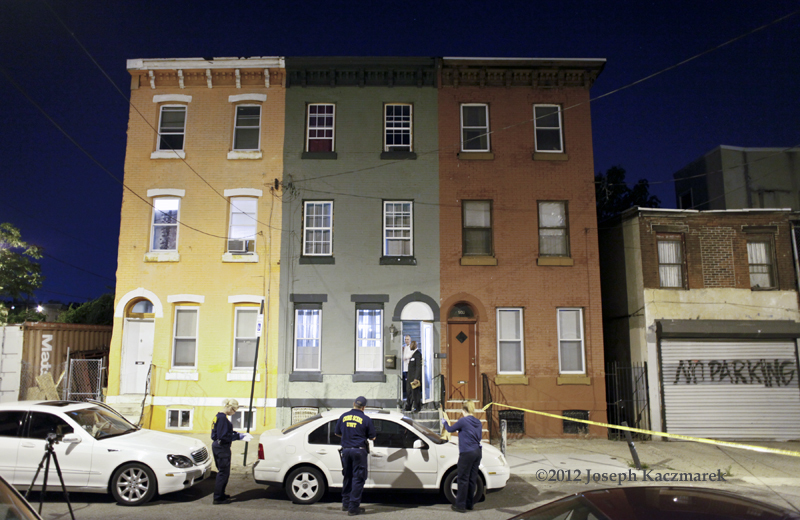 Philadelphia Police investigators look for evidence at the Cumberland Street scene. According to CBS3: Police have no suspects or motive. 6ABC has a video report from the scene. NBC10 reports that the victim was taken to Einstein Medical Center and is listed in critical condition. myfoxphilly.com has a video report from the scene.